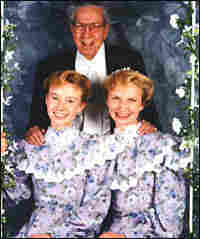 Warren Jeffs and the FLDS In 2002, Warren Jeffs succeeded his father Rulon as prophet of the FLDS. Jeffs is said to keep a tight grip on the polygamous community, using wives as rewards for loyalty among followers. Upon the death of his father, 49-year-old Warren Jeffs took over as prophet of the FLDS, or Fundamentalist Church of Jesus Christ of Latter-day Saints, in September of 2002. Jeff's father, Rulon T. Jeffs, had been the group's prophet for the previous 15 years. He died at the age of 92, leaving an estimated 75 widows and 65 children to mourn him. The nearly two-decade tenure of father and son has split the polygamist community on the Utah-Arizona border. After taking power in 1986, Rulon Jeffs slowly abolished the seven-member Priesthood Council that had previously governed the sect. Rulon Jeffs eventually claimed a "One Man Rule" and as a result, part of the group split away and founded their own polygamist settlement nearby. According to former followers, the prophet is considered to be God's mouthpiece on earth. 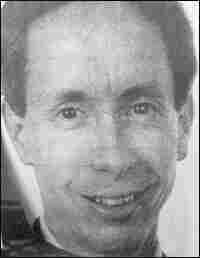 It is believed that God speaks directly to Warren Jeffs to reveal His will. And through the prophet, God directs which male members are worthy of entry into heaven (females are invited into heaven by satisfied husbands). Jeffs is also the only person who can perform marriages, and it is through him that wives are assigned to their husbands. Pleasing the prophet can result in loyal members being rewarded with one or more wives. Wives are considered to "belong" to their husbands for eternity. In order to reach the highest degree of glory in heaven, members of the FLDS believe that each man must have at least three wives. A significant means of prophet power is derived from his ability to punish followers by reassigning their wives, children and homes to another man. Obedience is highly valued, and it is rare for wives to resist reassignment. The group takes its theology regarding "plural marriages" from the teachings of Joseph Smith, Brigham Young and the early Church of Jesus Christ of Latter-day Saints, better known as the Mormon Church. But under pressure from the U.S. government, church leaders abandoned polygamy in 1890 so that Utah could gain statehood. Polygamists believe that's when the Mormon Church strayed from the path of righteousness. Likewise, members of the FLDS are not welcome in Mormon congregations, and Mormons who are found practicing polygamy are excommunicated. Nearly all property in Colorado City, Ariz., and Hildale, Utah, including residential property, is owned by a church trust and controlled by Warren Jeffs. According to former vice-mayor and Colorado City Councilman Richard Holm, the trust is estimated to be worth in excess of $100 million. Holm also estimates that Warren Jeffs has more than 50 wives. But exactly how many wives, or where Jeffs is currently, nobody outside his inner circle seems to know. There are widely varying estimates of how many people practice polygamy in North America — 20,000 to 50,000 and more — but the secrecy of such groups makes a definitive number elusive.